It's said to be the first Tier One additive manufacturing facility to employ lean production principles. 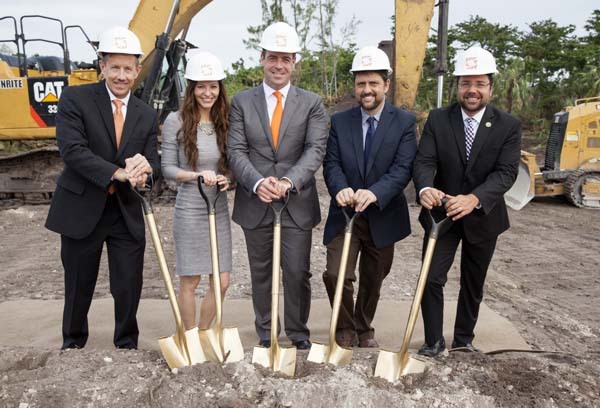 DAVIE, Fla.–Sintavia, LLC, a Tier One metal additive manufacturer, recently broke ground on its new 55,000–square–foot advanced manufacturing facility located in Hollywood, Florida. The $15 million facility, expected to open in late 2018, is reported to be the first facility of its kind to employ lean manufacturing principles for large–scale metal additive manufacturing. "Our new facility, when complete, will serve as template for future additive manufacturing facilities around the world," said Brian R. Neff, Sintavia's chairman and chief executive officer, in a company release. "We will pioneer, and continuously improve, an optimized flow of work centered around Sintavia's industry–leading and vertically aligned quality system. I am very excited to commence the start of the construction process, and grateful to our OEM customers who have necessitated this growth." Sintavia estimated that the new facility will result in 110 new jobs for skilled technicians and support personnel, and to house more than $25 million of advanced manufacturing equipment. The equipment includes metal printers, hot isostatic presses, vacuum furnaces, a metallurgical and mechanical lab, post–processing equipment, and a CT scanner. What makes additive manufacturing different from more traditional methods of manufacturing is the addition of material rather than its removal. By using additive processes, businesses benefit from shorter lead times, mass customization, greater complexity, lower cost, less wasted material, and greater energy efficiency. The additive manufacturing industry, estimated currently at $7 billion globally, is expected to more than triple in the next three years, the company said. Sintavia (www.sintavia.com) is an emerging Tier One additive manufacturer for critical industries, including aerospace and defense, oil and natural gas, automotive, and ground power generation.